The Devon & Cornwall Point-To-Point area ranges from Trebudannon in Cornwall in the West to Treborough Hill on Exmoor in the East, and has the longest season in the country with Black Forest Lodge often hosting a meeting on the opening weekend and the area hosting the traditional season finale at Umberleigh in June, often with one or more national or area championships decided on the day. 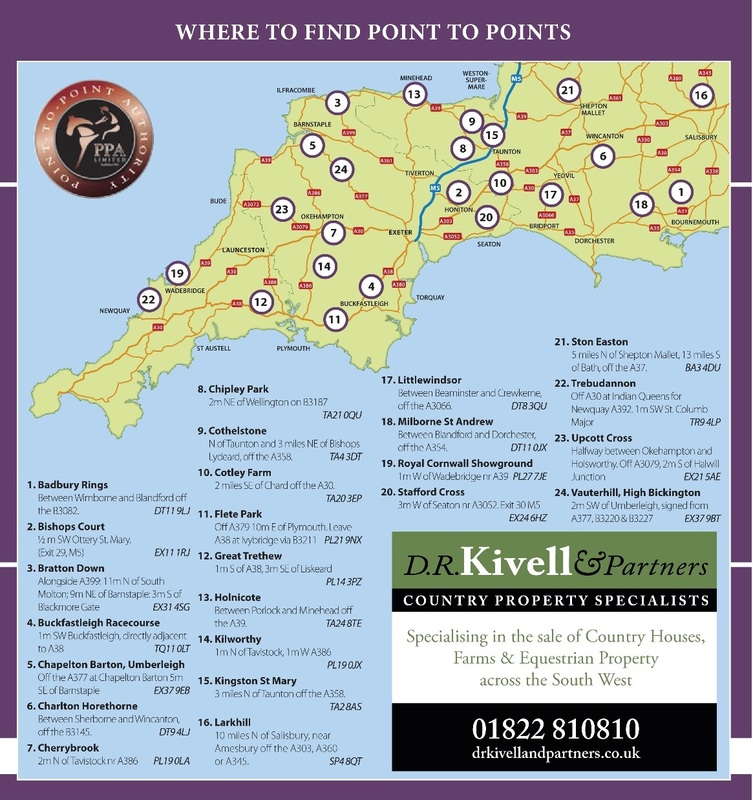 There is a Devon & Cornwall meeting on most weekends during the season, so there is always plenty of good racing to see nearby, with both small and large local training yards often competing against visitors from Wessex, Wales and the Midlands. 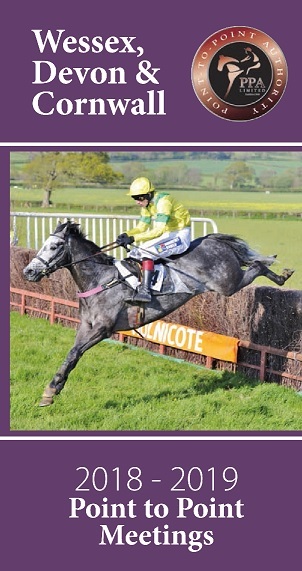 This site is run on behalf of the Devon & Cornwall Point-to-Point Secretaries Association. The views of the Editor do not necessarily reflect the view of the Association as a whole. Every effort is made to ensure that the information published on this site is both factual and correct. If any mistakes are made they will be rectified as soon as possible.